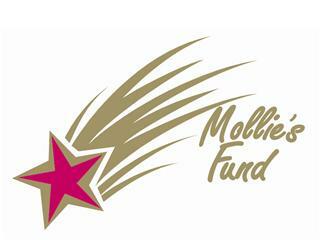 funds and public awareness for the Andy Foundation, Miracle Foundation and Mollie's Fund. The Andy Foundation and Miracle Foundation team up with the Jay Gallagher Memorial Foundation gifting The Cancer Center for Kids at Wintrop University Hospital. The Jay Gallagher Memorial fund is a 501 (c)(3) non-profit charitable organization dedicated to improving the lives of children and adults diagnosed with cancer, concentrating on building cancer awareness with the ultimate goal of a cure. The tournament has raised over $1,100,000 over the last 19 years. The tournament memorializes Jay Gallagher, Andrew Palmeri, Mollie Biggane, Ryan Kohart, and Dave Leistman. Ryan and Dave were lost in the September 11th tragedy. Ryan was a graduate of Garden City High School and a four-year letterman at the University of North Carolina. Ryan was the recipient of The Jay Gallagher Award, which recognizes “The Outstanding Freshman in the Carolina Lacrosse Program.” Dave was a graduate of Sewanhaka High School and a four-year letterman at Adelphi University. A long time village resident, Dave was active in the Garden City Rams Lacrosse program coaching boy’s and girl’s teams. It was with great sadness that the lacrosse world and local community heard of this tragic loss of such fine individuals. Jay Gallagher graduated from Garden City High School in 1970 where he co-captained the varsity lacrosse team. Jay was a four-year defenseman at Cornell and tri-captained the “Big Red” his senior year, helping them to the NCAA semi finals. After graduation, he acted as an assistant coach for North Carolina, Syracuse, Rutgers and Cornell from 1981-1985. His legacy is still present with the John W. “Jay” Gallagher Memorial Scholarship Fund, which goes to a needy Cornell undergraduate.